Stockholm. Copenhagen it is not. Apart from that, not too bad. It is weird as a Dane (voted most awesome people in the world) to admit it, but I went to Stockholm not once but twice last year. And not on business, but on holiday, voluntarily! 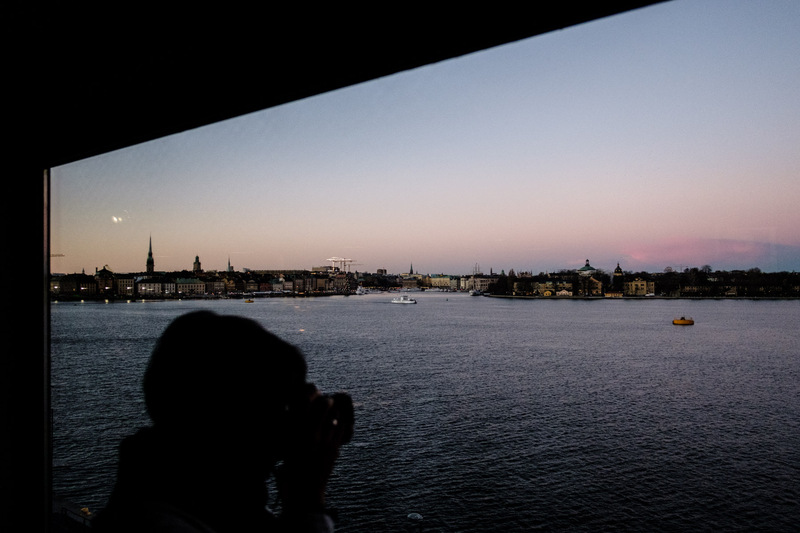 Charlene had been to Stockholm back in 2015 for just a few hours to do a talk for Fujifilm Nordic. Those few hours were enough to have a deep impact on her and she had been going on and on about Stockholm for years. And I do mean on and on. Which, you know, as a Dane that is really really really annoying! Because, we are Danes (voted best people ever) from Denmark (voted best country ever) speaking Danish (voted best language ever) and we are way better than our neighbours with their ice-hockey hairstyle and ridiculous bad fish! Finally, in April of 2018 we set sail on our Viking ship (the one called SAS) and went to Stockholm for 4 days. It pains me as a Dane to say this, but Charlene is right. Stockholm is an astoundingly beautiful and awesome city. Damn you, Sweden! But, also, thank you Sweden for great dentists that do not charge your entire life savings for just walking in the door! You see, during the first day in Stockholm in April 2018 I somehow got a massive tooth infection. Fortunately I only had to wander down the street from our hotel to find an excellent dentist who treated me immediately and the whole show only cost me about 400 Swedish kroner. I am moving to Stockholm. Denmark is better and Danes are the best, except for dentists! Sweden rules in dentistry! Having a tooth infection and being on penicillin did take a fair bit of energy out of me so as great as those 4 days were, we really needed another Stockholm trip soon. We got our wish in December 2018 when we went for 5 full days in pure holiday mode. No work or anything at all, just pure holiday. Did not even bring a laptop, which for us is totally Robinson Crusoe style. We have not had a pure holiday with no stress for years, and this December trip was just perfect. Much, much needed after a truly horrible year of 2018. I am so incredibly humbled and happy to have been an ambassador for the Fujifilm X-cameras for almost 6 years now, and the HQ for Fujifilm in Scandinavia is in Stockholm. So naturally, when we are in town we always drop by to see the wonderful people of Fujifilm Nordic. Also, to drink free coffee, see if there is any gear lying around they need to give me, and to tell them over and over just how great Danish people are! Look, we are a small country after we lost, well, all the countries in the Nordics that were once Danish, so it cannot be repeated often enough. Danes are really great. Really really great. At…something. We were once vikings and ruled the world but then we discovered beer according to this accurate documentary and it possibly went a bit downhill. I will think of something we are good at nowadays. Our hotdogs are better. Stockholm is pretty cool though. Dammit! The sci-fi bookshop is world-class. They even have a nice burger fast food chain, Max Burger. Dammit Sweden! 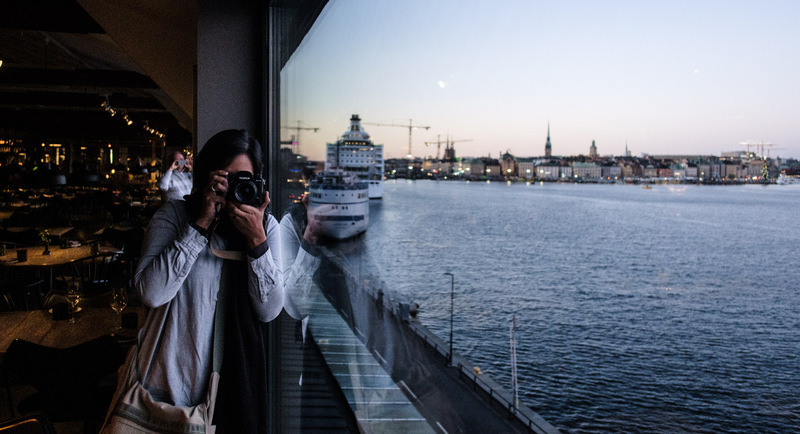 Stockholm is also home to the incredible Fotografiska. 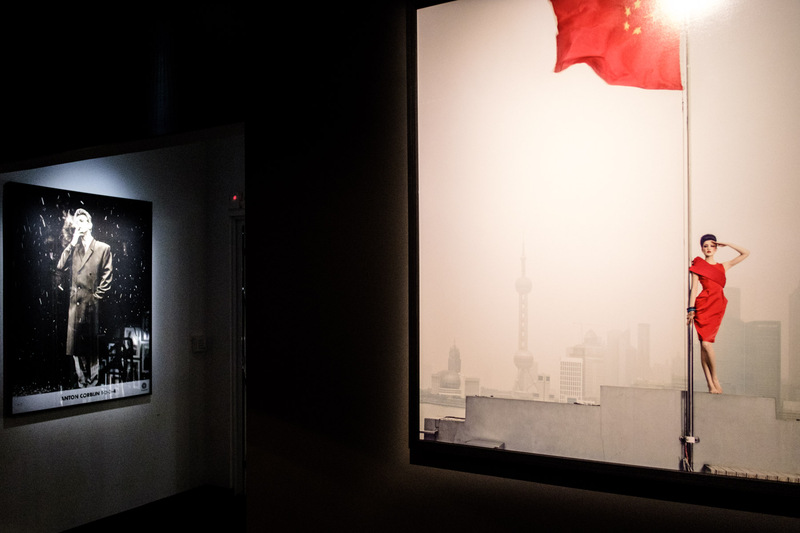 This incredible house of photography has world class exhibitions, world-class restaurant and workshops and a bar and lounge and live music and, bloody hell it is awesome, I am moving in. 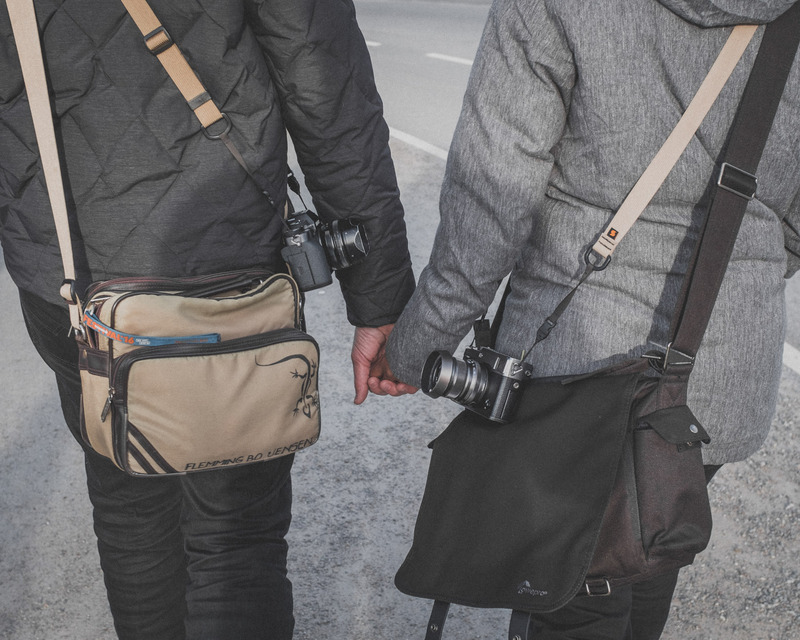 We got to catch up with all of our friends at Fujifilm Nordic and our fellow ambassadors and wonderful friends Knut and Mia (who are already pretty much living in Fotografiska!). Thanks so much for the laughs, food and drinks. Again, Knut, sorry for not being at your competition-portrait shootout event to support you, but there was free food and wine at the same time and look: We lost Sweden in the war, I am not loosing out on free food and drinks! I could go on and on about how gorgeous and wonderful Stockholm is but I would rather not. It is just too painful for a Dane. 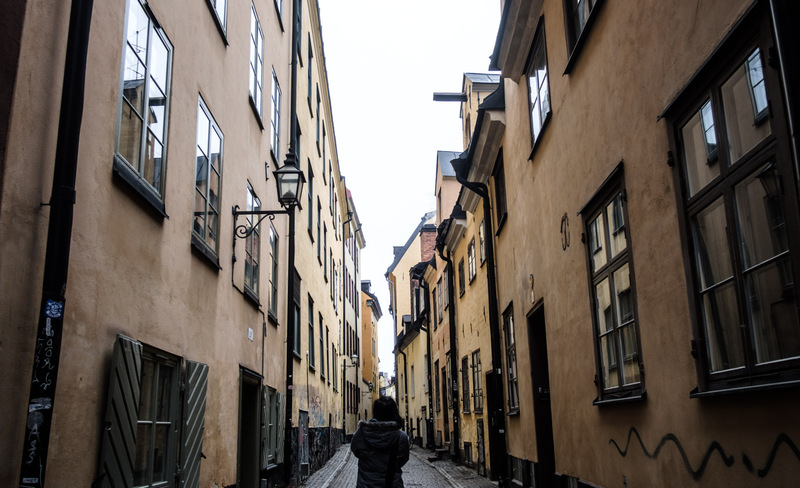 Just read Charlene’s blog for some great stories and pictures from Stockholm. And if you like, you can scroll down and see my truly mediocre pics from Stockholm. We are moving to Stockholm one day, wait and see and that is actually not a joke. 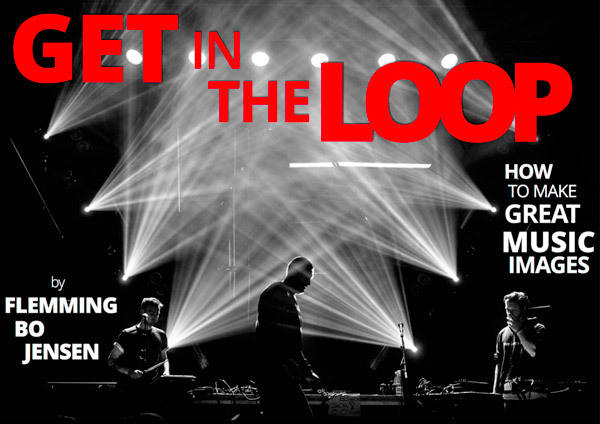 See you at Fotografiska, I’ll be the DJ behind the decks in the lounge bar with a drink, a Fujifilm camera and true ice-hockey hairstyle! 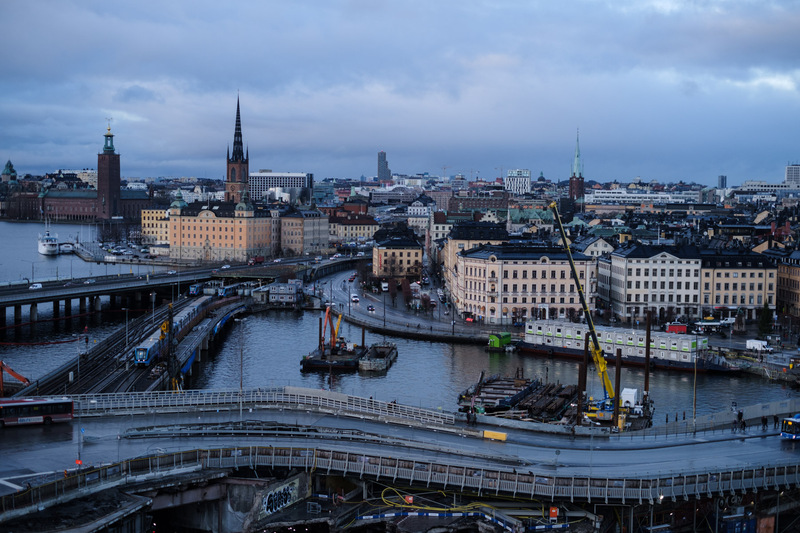 Even with the huuuuge construction project at Slussen, Stockholm manages to look beautiful. 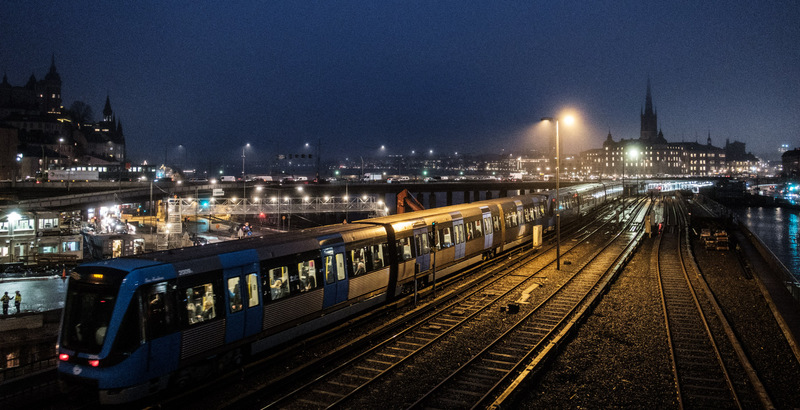 By far my favourite time to capture STHLM, the blue hour. I cannot make a decent street photography picture but I can aim my camera at a street! Gorgeous Gamle Stan street. 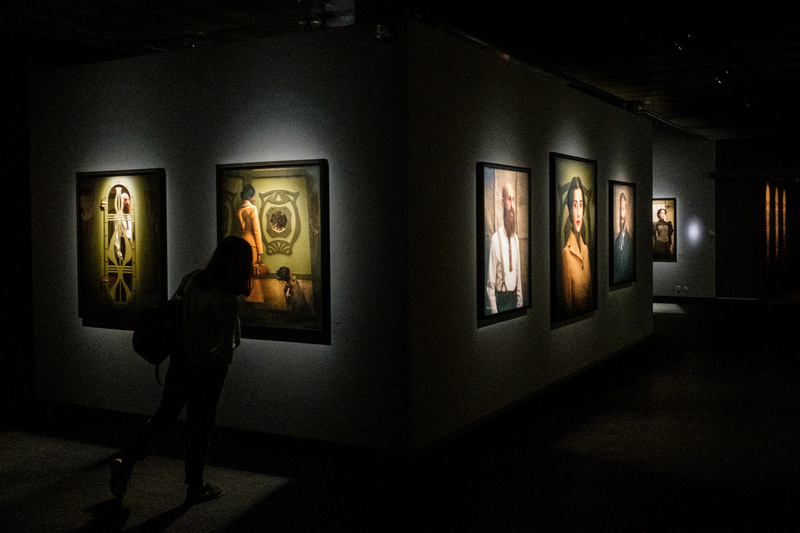 Inside the wonderful Fotografiska and the Christian Tagliavini exhibition. 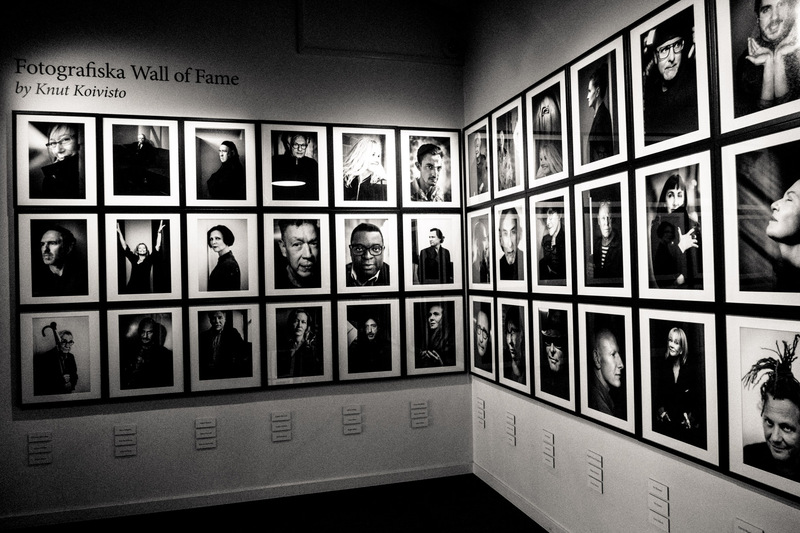 Friend and fellow Fujifilm ambassador Knut Koivisto is the master portrait photographer behind these many incredible portraits on the Fotografiska Wall of Fame. This was for me, just as impressive as the main exhibitions at Fotografiska! You guessed it, more from Fotografiska. I am moving in! 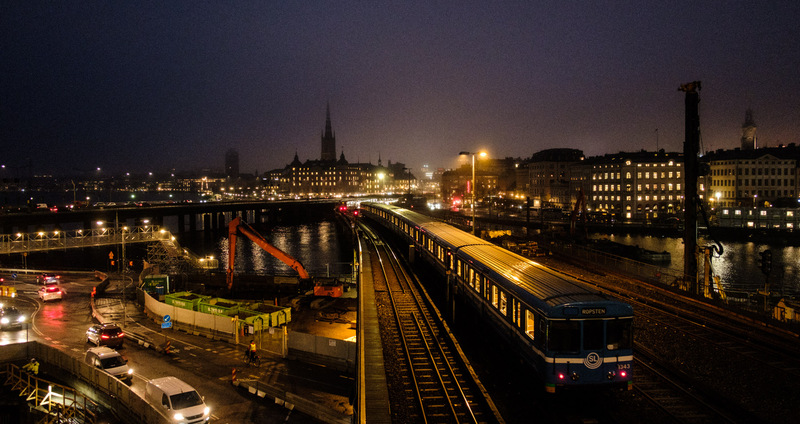 It is a bit of a mess at Slussen but it still has a wonderful view of the trains rumbling by. Didn’t mean to scare ya 🙂 Charlene has a knack for photo-bombing my pictures, it is an art really that she has totally mastered. This one is particularly inspired! Aaaaand here she is again, making my in-camera panorama so much better! Mad December sunlight and this time, no photo-bombing, just me stealing a picture of the master street photographer. Charlene making some magic at Fotografiska. The view here from the restaurant is not bad at all. Did I mention I am moving in? 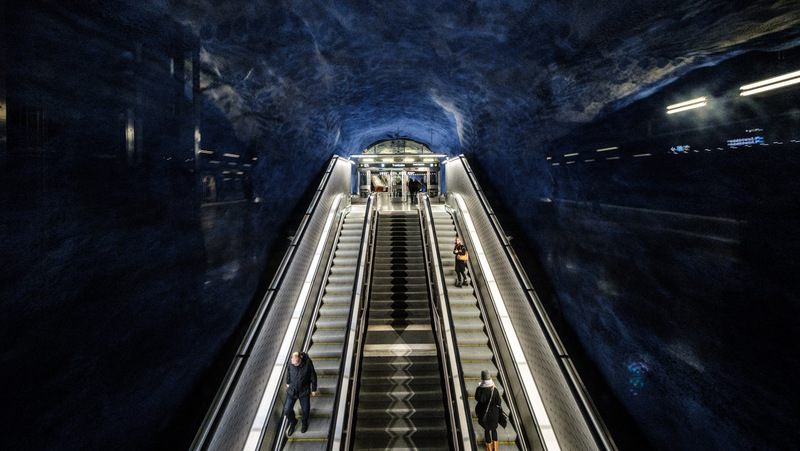 Thanks to the wonderful people of Fujifilm Nordic, I got myself a new Fujinon 8-16mm F2.8 lens to play with, and it works wonders on the epic metro stations in STHLM! I am including this, because of the long running joke between us of Charlene wanting to live in a building with a turret. I think she has decided it is going to be this one, the one with the tallest spire. A lotto win should do it! Another mad 8mm view of the wicked Metro stations. 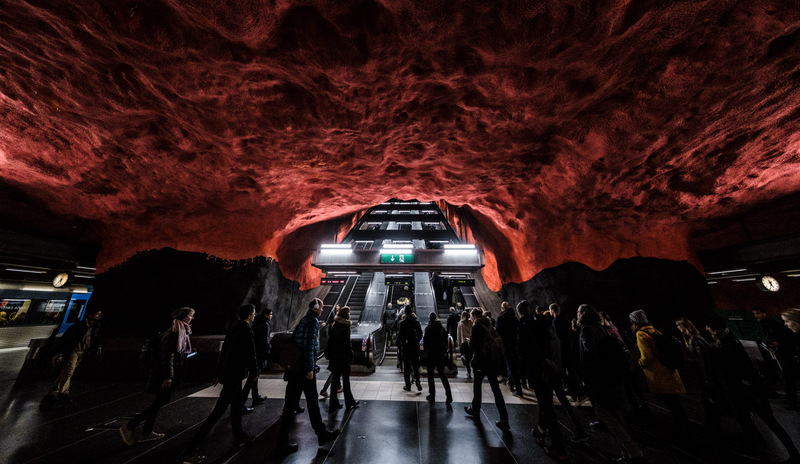 I think this is Solna Station, one of the Metro stations that have been turned into art and become instagram sensations. Charlene and I in our new home, Fotografiska! 8mm is a wide wide wide view that can work really dramatically in the Metro! 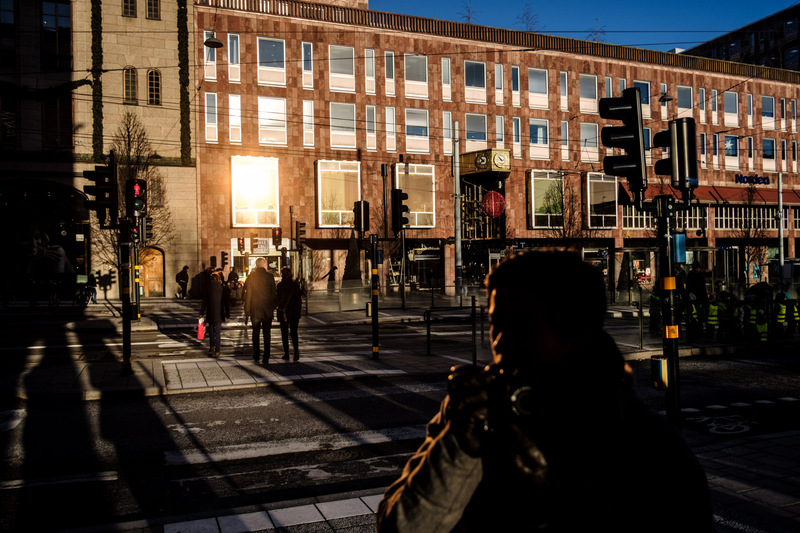 Finally, let me conclude this STHLM post with a truly wonderful capture by photographer Sandy Arufors. We had no idea he took this picture of us, we only discovered it because he tagged us on Instagram. I love this picture, thank you so much Sandy! The pictures are great! The escalator picture was so wide it gave me vertigo 😉 I also lived the photo of you and your partner in photography (holding hands). I’ve always loved wide angle photography. Thank you! Thanks! Yeah hehe that 8mm view is quite something. I too love the picture of me and my better half walking hand in hand, thanks to Sandy! Hello! It was good to see Stockholm in your and Charlene’s photographs. I wondered what you would do with the city; you see it differently than I do, since I live here.